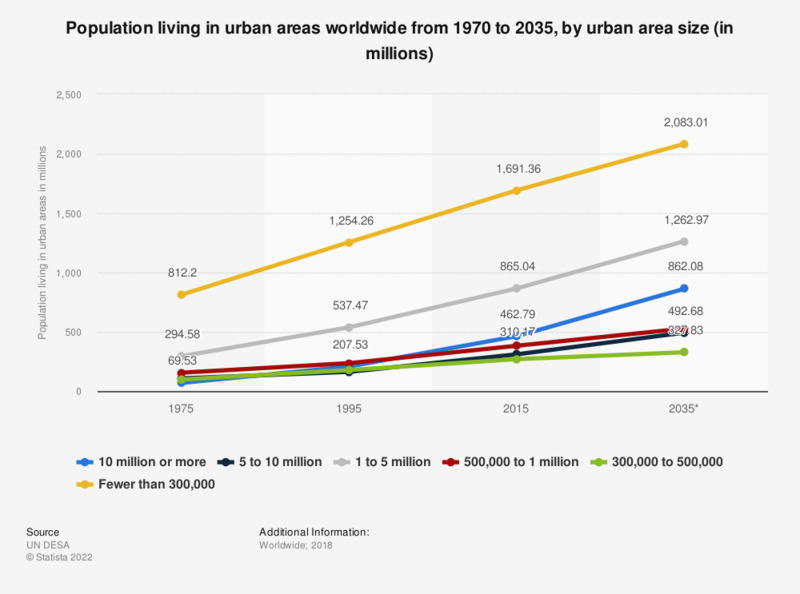 This statistic shows the number of people living in urban areas worldwide from 1970 to 2035. By 2035, 812.2 million people worldwide will live in urban areas with populations of 10 million or more. *Projected figure based on calculations made in 2018.